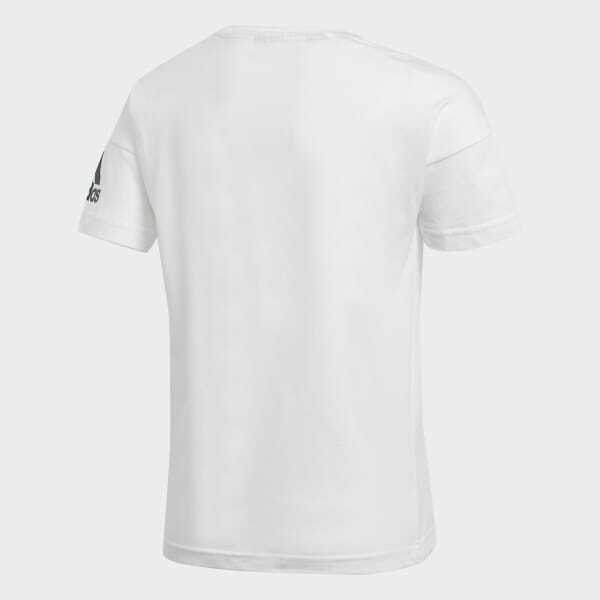 A cotton t-shirt for everyday training. Stay focused during your regimen in straightforward training style. The adidas Z.N.E. collection was designed to help athletes find that same focus in the moments before they step into the spotlight. Made of soft cotton, this junior boys' t-shirt has a timeless no-frills look for everyday workouts. An adidas Badge of Sport on the sleeve shows your brand love.